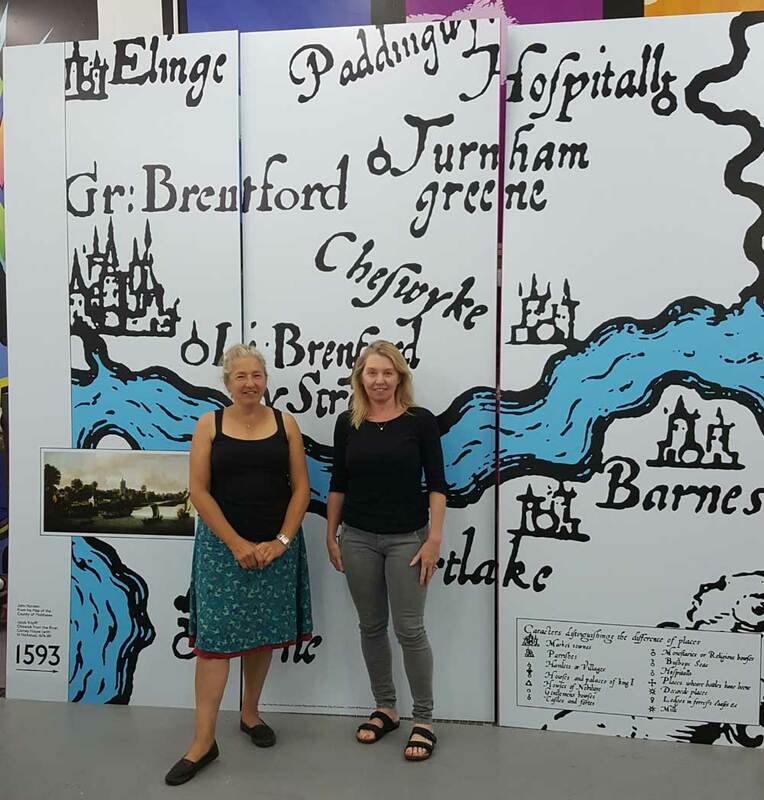 Karen Liebreich is remembering the fateful encounter in 2013 that inspired the Chiswick Timeline mural. Four years on, and after false starts, summary rejection and sheer hard work by a small dedicated team, the finished artwork should be unveiled in all its cartographic glory in November. 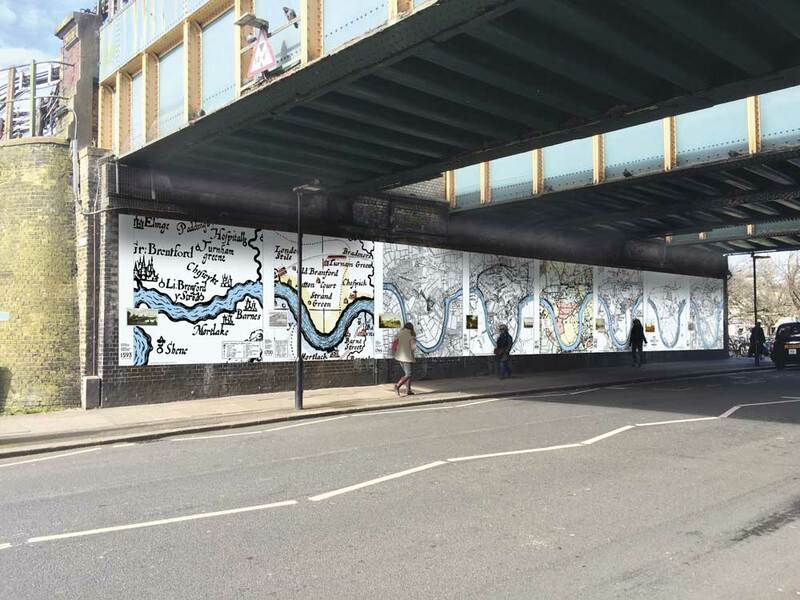 Created on 41 huge panels of vitreous enamel (each measuring 2.8 x 1.5m), the mural will transform the grotty walls under the railway with 16 historic and contemporary maps dating from 1593 to the present day and showing the familiar Chiswick loop of the Thames. Complementing the maps will be works of art depicting W4 landmarks by artists who lived or worked in the area, such as Hogarth, Zoffany and Pissarro, as well as original contemporary pieces by, among others, Sir Peter Blake, Martin Rowson and Marthe Armitage. 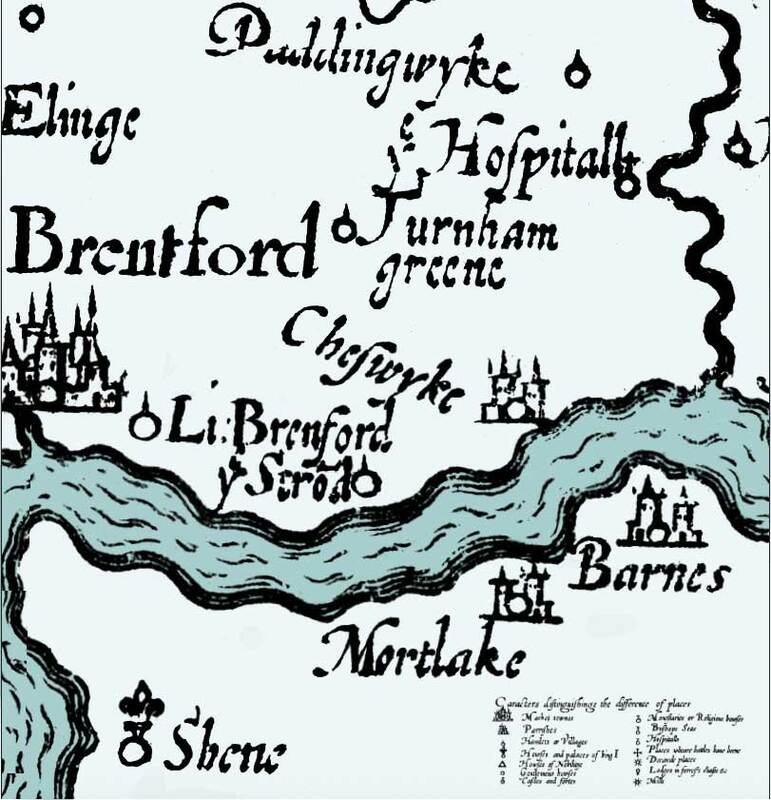 The triumvirate behind the Chiswick Timeline is Karen, Sarah Cruz and Karen Wyatt. 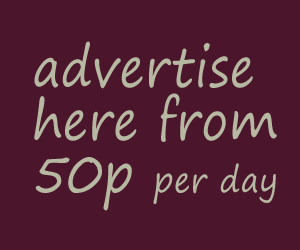 They are well-known in the community as the masterminds of Abundance London, the voluntary group that organises environmental and educational projects such as guerrilla gardening, planting flowerbeds on the High Road and running Apple Days. The mural has been their most ambitious venture to date. 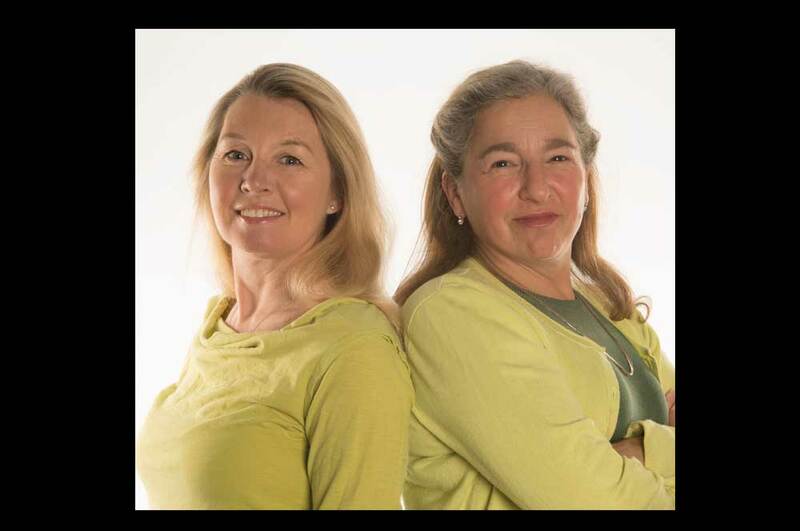 As well as raising funds, the Abundance team has also spent countless hours overcoming design challenges and chasing copyright permission to reproduce the historic images. But, with the launch event nearing, it looks like it has all been worthwhile. ‘The first time we went to the factory and saw the trial panels we were staggered at how large and striking they are going to be,’ recalls Karen.